Vehicles are much more than just transportation between point A and point B. They have grown to be an extension of the consumer, individualized to his or her needs. Consumers make their vehicle their own, Fiberworx makes them safe and sound-proof. Our innovative nonwoven fibers provide the acoustic, thermal, and vibrational solutions required for a smooth experience in any vehicle. The flexible nature of Fiberworx materials combined with our diverse technical capabilities make it easily specialized for clients' needs. Our products can be molded, die-cut, or incorporated into an already developed part or system. Our team can adjust the denier and blend just right for your automotive application, be it under the hood or in the trunk. Harnessing our Research and Development capabilities, and innovative parent company support, Fiberworx is willing and ready to engineer products needed to accommodate the ever-changing automotive market. Nonwovens are an integral part of construction whether on the road or in a building. In the case of Fiberworx products, they take on multiple roles in building and home construction for their insulation properties. For undesirable noise and discreteness inside the residential home, our products are useful as acoustic insulation. They double as thermal insulators, helping home and building owners to regulate energy costs due to temperature management. Atop homes and buildings, Fiberworx nonwovens can be utilized within the construction of roofing components. The intrinsic qualities of Fiberworx polymer fibers offer many advantages in all types of filtration. The micron and submicron scale pores can trap impurities or unwanted substances, purifying anything sent through them. Our Research and Development department can engineer exacting specifications and regulatory requirements for the filtration of air, liquid, bacteria, dust, gas, and a myriad of other substances. Whether a filter is needed to keep a the air in your home clean, or remove dirt and grime from a liquid in your car, Fiberworx will design the material necessary. 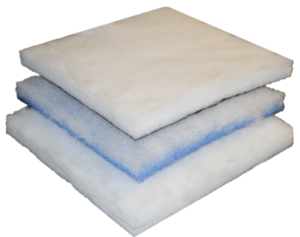 The soft, airy quality of nonwoven fibers renders them an optimal stuffing or padding material for all markets whose major concern is comfort, including the mattress and bedding markets. Further enhancing Fiberworx's green objectives, our product can act as both a low-cost and eco-friendly alternative for the down and foam industry standard materials. 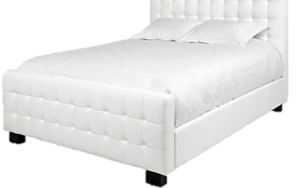 The thermal insulation property is only one on a long list of advantages of nonwovens in the mattress and bedding markets, including heat and flame resistance, durability, anti-allergy and antimicrobial properties, fluid resistance and retention. 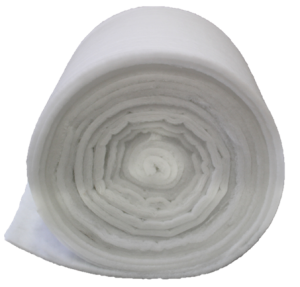 The most essential aspects of products within the medical industry are cleanliness, comfort, and quality--all characteristics of Fiberworx nonwoven products. With our low-denier fiber capability, we can produce the smooth and soft materials necessary for optimal patient care and satisfaction. Absorption, breathability and antimicrobial properties make Fiberworx nonwovens ideal in the medical world. Manufactured with 100% post-consumer plastic polymers, our products are the perfect solution for the disposable waste stream flowing at a rapid rate from the medical and healthcare industries. Fiberworx materials are optimal for a multitude of industrial applications, from insulation to filtration. In manufacturing and business warehouses, the control of hazardous and unwanted noise and vibration is paramount. 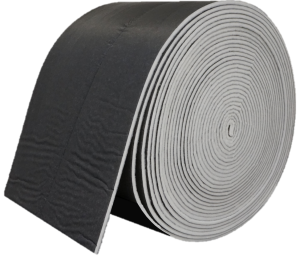 Our fiber's acoustic insulation properties can be utilized as underlayments in floors and ceilings for sound damping during the manufacturing process. Post-manufacturing, Fiberworx materials can still be useful during the packaging process, acting as wraps, bags, and protection for manufactured products.